Time and weather are not friends of real cedar shake roofs. Homeowner Pam Lariviere was reminded of this when she had to replace her cedar shingles with composite shake tiles from DaVinci Roofscapes. “We had to face facts,” says Lariviere. “The home was built in 1995 with a beautiful cedar shake roof. However the age of the roof and extreme weather conditions had taken their toll and increasingly the roof needed repairs. Lariviere wanted to keep the look and feel of her original roof, but she knew another real cedar roof was out of the question. She was tired of being penalized by rising insurance premiums because of the real cedar shakes. 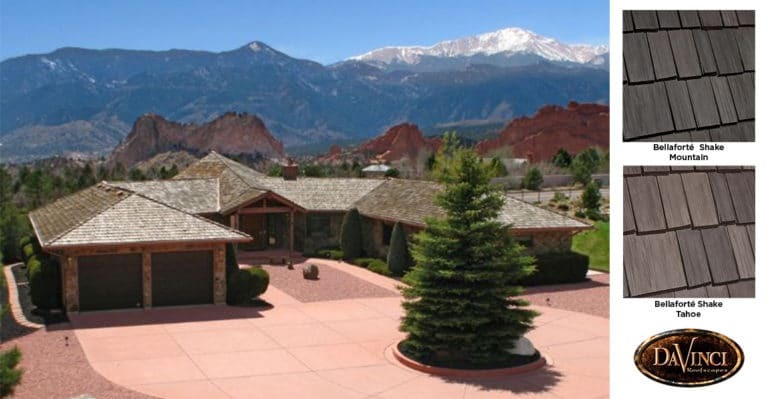 She was ready for a roofing product that would stand up to their rough Colorado weather conditions. After doing a great deal of online research, Lariviere discovered DaVinci products and the positive online reviews. “I contacted the headquarters for DaVinci and Danielle Wiese in customer service was very helpful,” says Lariviere. 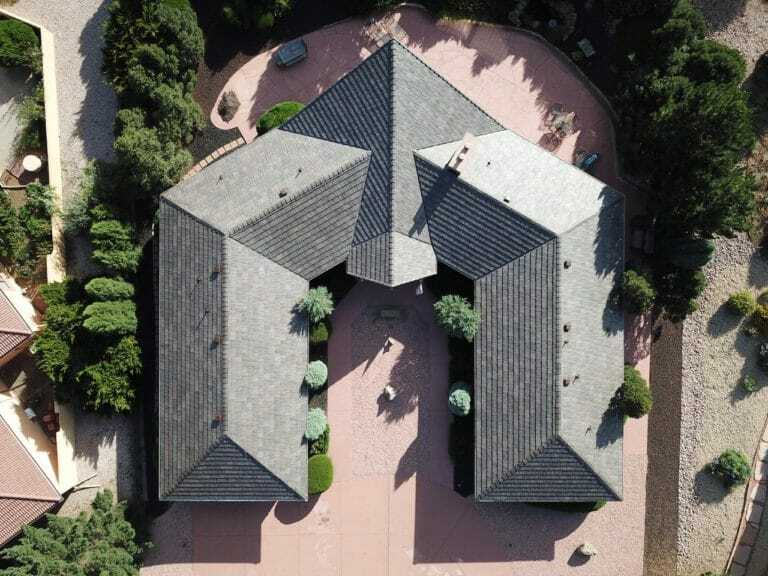 “She sent us composite shake samples, answered many questions and provided addresses of homes and country clubs in our area so we could go see what the composite roofing product looked like in person. After making the decision to invest in a composite shake roof, Lariviere next had to gain permission to install a composite roof from her homeowners association. The Kissing Camels community is made up of 600 homes governed by strict rules and covenants. With that hurdle behind her, Lariviere set her sights on making a color selection. She went back to DaVinci for assistance. “We had decided on a Bellaforté Shake roof and narrowed our color selection to either a Mountain or Tahoe blend,” says the homeowner. “That’s when Danielle offered to connect us with Kate Smith, a national color expert, to gain her insights. According to Smith, who offers free color advice regularly to DaVinci customers, the homeowners couldn’t go wrong with either color. “Mountain would have more ‘weight’ on this house, giving it a stronger presence,” says Smith, chief color maven at Sensational Color. “However, the circular drive and entry of the home look like they might blend nicely with Tahoe. With her roofing product and Tahoe color selected, Lariviere next set out to find a roofer to make her roof replacement dreams come true. 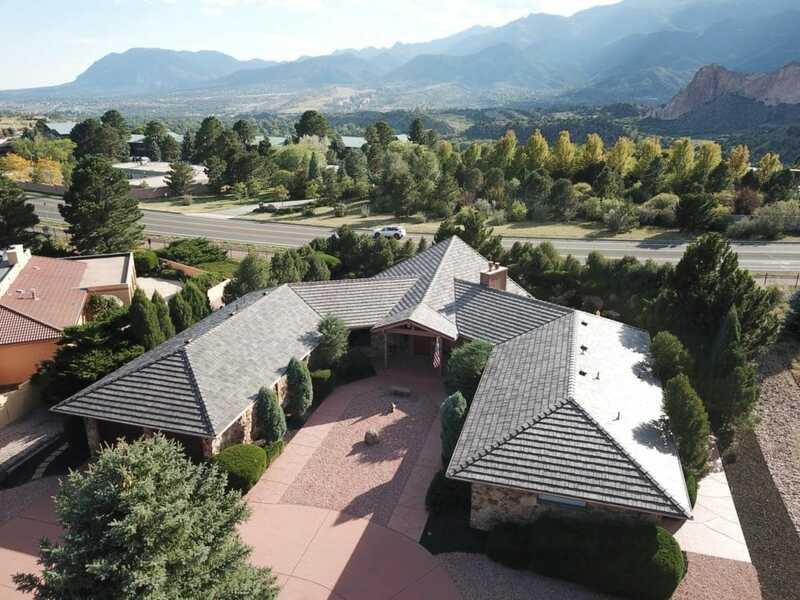 Her search brought her to Krueger Brothers Construction, a small family-owned business out of Colorado Springs dedicated to exceptional service for their projects. “Hail and wildfire concerns in our area are driving many roofing changes,” says Michael Krueger, vice president of Krueger Brothers Construction. “We’re definitely seeing more communities and individual homeowners move away from old wood shake shingles to fire-resistant, impact-resistant composite roofing products. “As an example, on August 6th of this year there was a huge hail storm in this area with three- to four-inch sized hail. This tore apart many real cedar roofs. The only roofs I saw unaffected by this storm were those made of steel or DaVinci composite roofing. With her new composite shake roof in place, Lariviere and her family can rest easier. Their home is protected from Mother Nature and they’re becoming the talk of the neighborhood. The family has also discovered other benefits of the composite roof. “We have already experienced our first rain storm since putting on the DaVinci roof and it’s even quieter than our old shingle roof,” says the homeowner. “And, we’re now receiving a discount on our homeowners insurance because of our new roof.